On the main stage at the BioBlitz Biodiversity Festival, Jenny Papka of Native Bird Connections has the full crowd in the palm of her hand. She showcases three birds of prey during her “Raptors: The Reality Show” presentation. 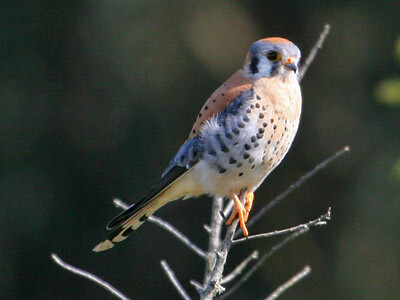 The American kestrel, the F-14 of the raptor world, is able to dive at 60 miles per hour. Next up is a striking snow-white red-tailed hawk. 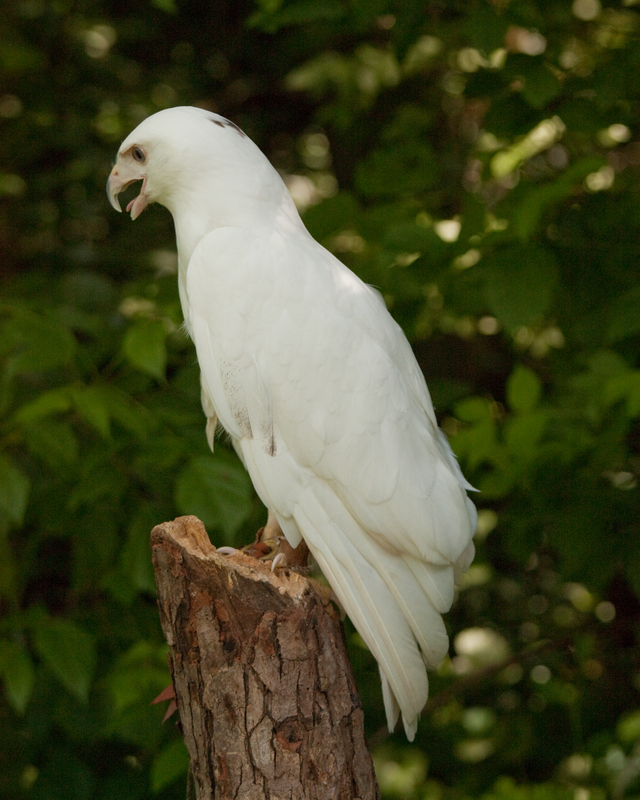 This hawk is leucistic, which means its light coloring is a result of reduced pigmentation. While Papka holds the hawk, she shares interesting some facts about raptors. This red-tailed hawk is leucistic. Leucism is a genetic mutation that simply means the animal has reduced pigmentation. (Albinism means an entire lack of pigmentation.) This red-tailed hawk may lack the feature that gives it its name (a lovely red tail), but its eyes are typically dark and it retains a smattering of color on its head. Photograph by Greg Hume, courtesy Wikimedia. This file is licensed under the Creative Commons Attribution-Share Alike 3.0 Unported license. 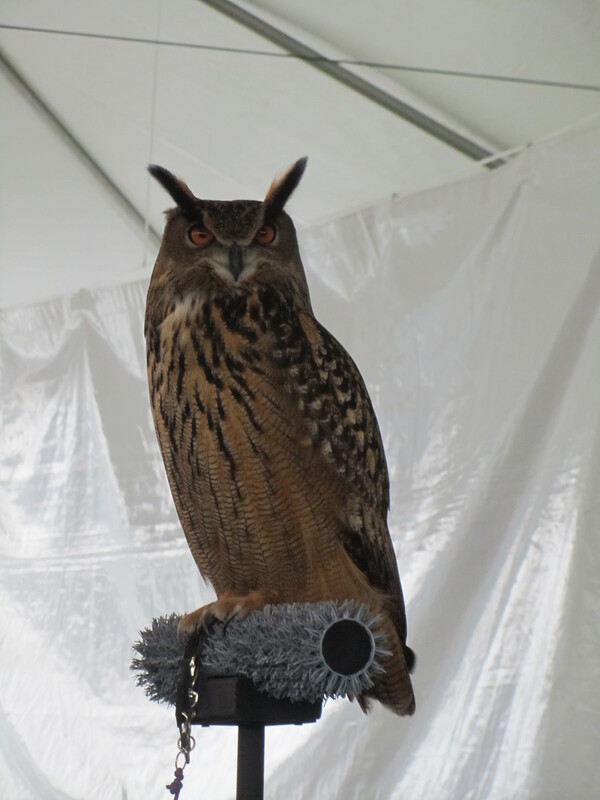 There is an audible gasp in the audience when the star of the show, a Eurasian eagle owl, is brought out of its cage. Eurasian eagle owls like this one are so familiar and awesome throughout Scandinavia that the Finnish national soccer team is nicknamed the eagle-owls.